LONDON: 12 NOVEMBER 2013 - ECR Minerals plc is pleased to provide the following update on the Sierra de las Minas (“SLM”) gold project in La Rioja Province, Argentina. ECR has 100% ownership of SLM. The Company has recently carried out a detailed review and reinterpretation of the exploration results obtained from SLM to date. The reinterpretation included 3D modelling of the results of drilling and underground sampling completed by ECR at the El Abra prospect within the SLM project area in 2012, which enabled a resource estimate to be generated for El Abra. This estimate does not comply with any Standard, as that term is defined by the AIM Rules for Companies, and will therefore not be publicly disclosed. The outcome of the review and reinterpretation has been deemed sufficiently encouraging for ECR to recommence significant exploration activity at SLM, planning for which is underway. Work will focus not just on El Abra but also on selected other prospects including Maestro Aguerro, VN2.5, Pits I-III, Casas Viejas and Corral-Carmincita. These other prospects will undergo systematic sampling of rock and soil material, followed by trenching and, if warranted, drilling. At El Abra, initial work will consist of trenching and the assay of further drill core samples from the Company’s 2012 drilling programme. Further drilling will follow, subject to the results of the initial programme. A regional stream sediment sampling programme will also be carried out with the objective of identifying new prospects within the SLM project area, which consists of numerous exploration and exploitation licences held by the Company’s Argentine subsidiary. ECR’s strategy for the SLM project remains to delineate a number of high grade low tonnage resources, preferably mineable by open cut. If successful, the Company’s objective thereafter will be to initiate mining and processing operations and commence gold production. The El Abra vein is one of numerous auriferous mesothermal quartz veins located within the SLM project area and identified by previous explorers. The El Abra vein is known to occur for a strike length of 500m, with widths to 3m but generally in the order of 0.5-1.5m. During March and April 2012 ECR completed a 1,112m diamond drilling programme at El Abra. Of 13 holes drilled, three holes intersected very high grade gold mineralisation and four more intersected mineralisation grading in excess of 1g/t gold. The best overall intersection of the programme was 3.9m downhole at 11.6g/t gold in hole 9, including 0.2m at 109.1g/t gold. Metallurgical testwork carried out by ECR in 2012 indicated that near surface gold bearing material from El Abra and other prospects at Sierra de las Minas can be processed by conventional methods to achieve high rates of recovery. Further information regarding the results of previous exploration at SLM is contained in ECR’s announcements of 16 May 2011 and 7 February, 27 April, 21 May and 25 October 2012, all of which are available on the Company’s website (www.ecrminerals.com). “We are pleased to announce this change of strategy with regard to the SLM project, for which we have previously sought a purchaser or joint venture partner. When the decision to sell or joint venture SLM was taken earlier this year, ECR was under severe financial strain and undergoing a necessary sea change in management and corporate strategy. Further to ECR’s announcement of 30 August 2013, the Company continues to expect that the renewal of the exploration permit (the “EP”) pertaining to the Itogon project will occur in the near future. ECR is not aware of any particular explanation for the time being taken for the EP renewal to be granted, but is advised that this process would normally be expected to take a number of months. In addition, as disclosed in the Company’s announcement of 29 April 2013, application for the renewal was lodged immediately before the expiry of the first two year term of the EP, and it was therefore inevitable that there would be a gap between the expiry of the first term and the renewal of the EP for a second two year term. The application for renewal was lodged before ECR acquired its earn-in rights with respect to the Itogon project. The Itogon project area is in the north of the Philippines at relatively high elevation and was not significantly affected by the recent passage of Typhoon Yolanda (Haiyan). The Company extends its deepest sympathies to all those in the Philippines who have been affected. 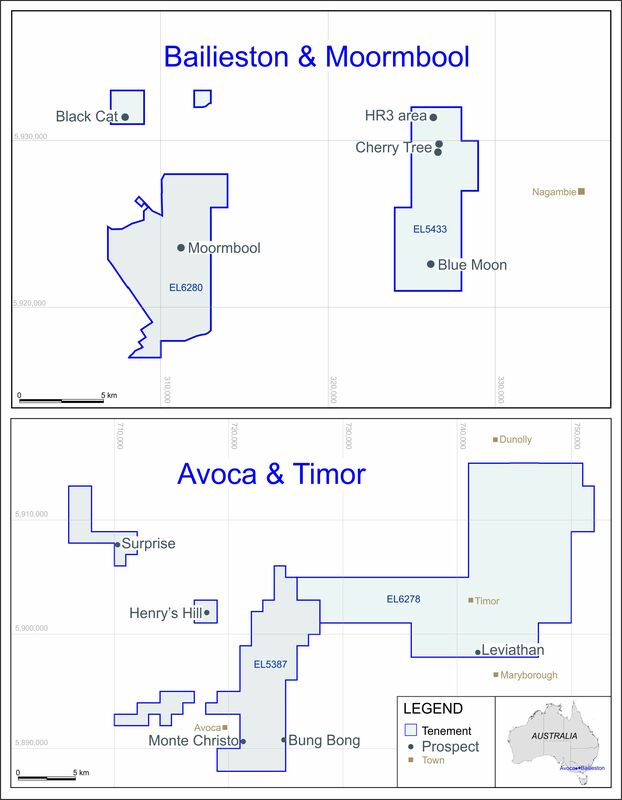 Further to ECR’s announcement of 30 August 2013, the Company has been informed by the external administrators (the “Administrators”) of its 100% owned Australian subsidiary Mercator Gold Australia Pty Ltd that the preparation of the report to creditors by the Administrators is subject to further delay. ECR has been provided with a draft of the report, however the time taken to finalise the document is entirely in the hands of the Administrators.